Phew! One more episode to go, for now. Join us in January. Merry Christmas! Rate & review us on iTunes - even if we are ending soon, it's still nice, cos the episodes will still be here and need your recommending words! A stopgap podcast, to report on our temporary absence (due to a busy month), then our permanent absence (to follow early next year after a two-episode send-off). 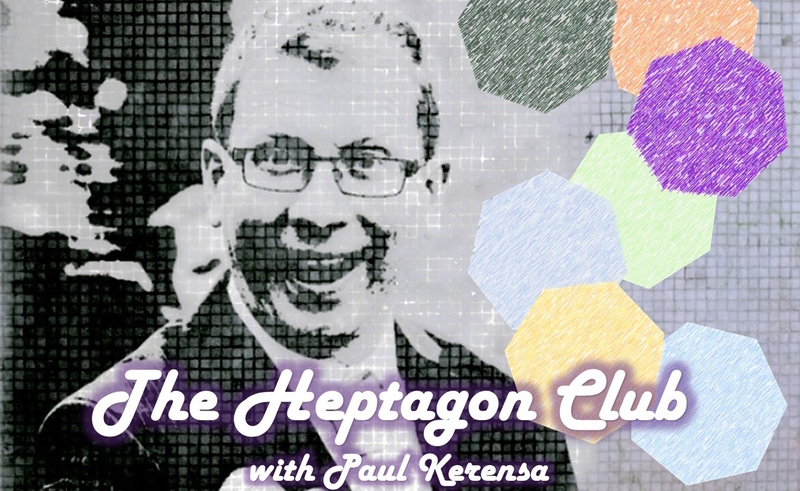 A couple more episodes will follow, then, well, the future's bright - but it may, alas, not be heptagon-shaped. An update is contained herein, plus snippets of guests from our fnar-fnale to come in January. - BENNETT ARRON's I've Never Told Anyone This & Heard the One About Identity Theft? Hear tales of upper-class rapping duels, irritating drinks machines, and what's behind the shows being performed by this month's magnificent 7. Rate us on iTunes + share us around - happy summer all!